Ventrèche, or French pancetta, is pork belly rolled and cured with salt, pepper, and garlic. 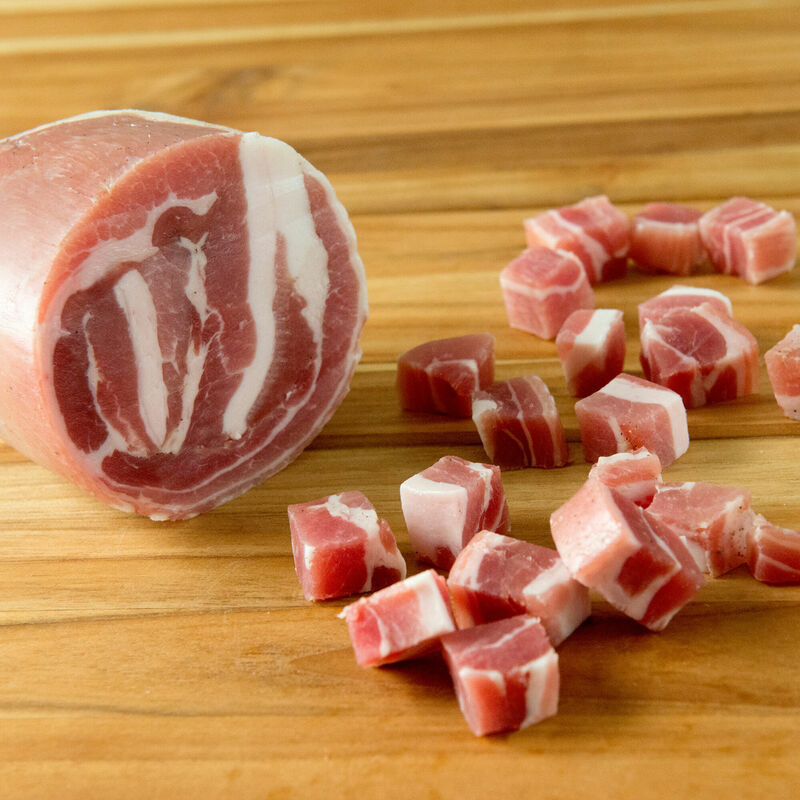 This traditional pork product is a vital ingredient in cassoulet, and when cubed or sliced brings rich porky flavor to pasta, soup, eggs, stew, and vegetables. Cooking Tips: Use our ventrèche as you would pancetta. Cut into lardons and sauté then toss into salads, pastas, egg dishes, or casseroles. Use as a base for a braise or slice paper thin to bard a roast. Add a large chunk of whole ventrèche to stock while cooking dried beans, soups, or stews.